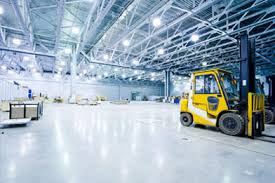 Commercial electricians have all the superior skills that allow them to deliver all manner of electrical services in about every phase of any commercial or industrial project. Whether you are dealing with the concept or design phase all the way to electrical installation to completion, maintenance and servicing. All commercial electrical contractors have in their employ professional that are licensed and certified by the relevant bodies in the electrical industry. No matter what size of project you are doing, you should be able to find a commercial electrician who will be able to work within your budget. Planning and design: Commercial electricians need to have a planning and design team that will assist their clients with all related services. The professional employed in this area have a clear understanding of factor related to estimating, budgeting and tracking services. They have project managers that are assigned to various projects where they give all the required advice to the other professionals and technicians who are involved in electrical installation. Construction and installation: It doesn’t matter whether you are dealing with a completely new construction project that requires electrical installation services from the ground all the way up or you are simply doing a renovation or an upgrade of the existing systems, the commercial electrical contractor you select should be responsible to oversee every single detail of the project to make sure it is planned properly in addition to monitoring its implementation to the very end. Apart from electrical installation, maintenance and servicing of electrical systems, commercial electrical contractors are also available to offer other services such as complete cabling, computer room design and layout, coordinated security systems (smoke, fire, etc. ), energy management, lighting design and layout, local and wide area network (WAN/LAN), specialized power systems, telecommunications wiring as well as uninterrupted power supply systems and modules. While this is not a conclusive list of what a commercial electrician can do, it should give you an idea of what you can expect when you are hiring one. In order to avoid disappointment when looking for commercial electrical contractors, you should always ensure that you carefully check that the contractor has a favorable recommendation form former clients in addition to a good working relationship with suppliers and vendors.